You're in your car. You've got a bag of piping-hot French fries with you. You want those fries in your mouth ASAP, but you also want to dip them in ketchup. So what do you do? 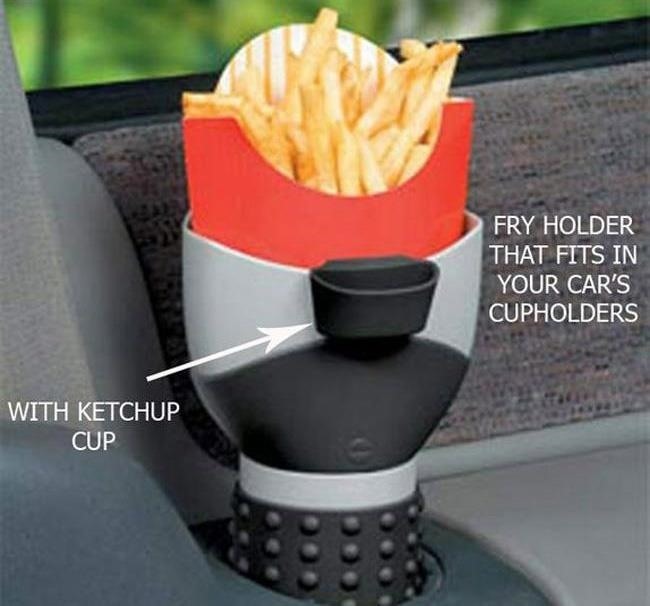 If you're like most human beings, you squirt the ketchup onto a napkin or in a corner of your burger container and say "screw it" to potential spills and leaks—or you haphazardly empty the ketchup into the container of fries and deal with the subsequent sticky fingers and mess. Turns out that there is an easier, cleaner way to get ketchup onto your fries. The advantage of this technique is that you get the perfect amount of salty, tomato-y ketchup onto each crispy frite. 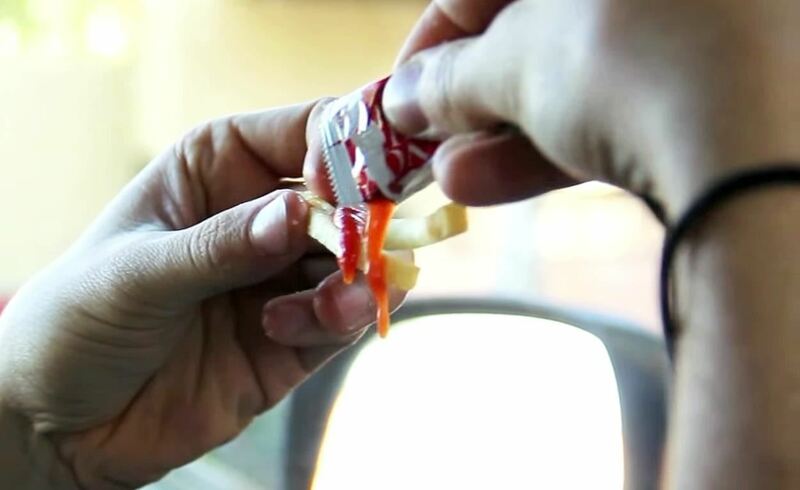 Just dunk your French fry into your ketchup packet. Yes, into the packet. All that's required is creating a wider opening than you might normally use and sliding your French fry right in there. Of course, it goes without saying that this technique should not be used while you're actually driving the car. Nor should any of the previously mentioned methods. As Foodbeast points out, the advantage to this hack is twofold: you get a perfect amount of ketchup that lightly coats each fry, and you pretty much avoid making a mess. 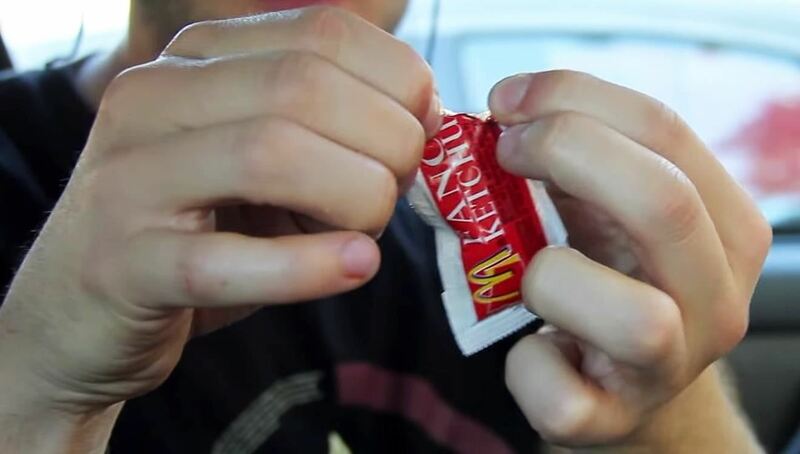 Now, when it comes to opening the ketchup packet itself—that's another story. Some people like to tear it at with their teeth, but I firmly believe that's courting disaster. The trick, in my opinion, is to do exactly what the guy in the video does: pinch the top edge of the packet with the thumb and forefinger of each hand right next to each other. Then use one hand to tear away a corner at a diagonal while the other holds the packet firmly in place. Which, unfortunately, no longer exists. Sorry for getting your hopes up. 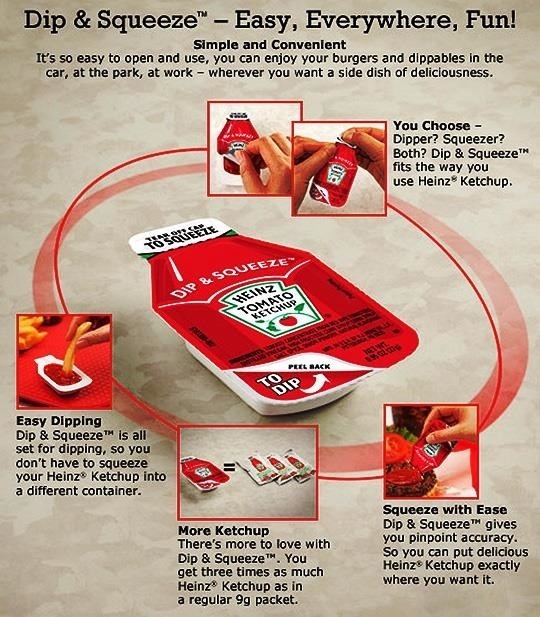 If the thought of tearing open ketchup packets fills you with a white-hot rage that could rival the sun, never fear: Heinz has invented a "dip-and-squeeze" ketchup packet specifically for people who eat in their cars. They felt that traditional packets are so hard to open that they were leading to a decrease in the number of fries people ordered. However, these dip-and-squeeze packets are only in certain restaurants, so be sure you use the locator to find which ones in your area serve them. Now that you know this ketchup packet hack, figure out how to make your own homemade ketchup and use it to clean tarnished metal. And touch up on your ketchup history while you're at it.